Only a few months ago, the Cadillac CT6 was heading for an appointment with the Grim Reaper. Like other GM sedans, such as the Chevrolet Impala and Buick LaCrosse, the CT6 was going to be discontinued due to dwindling sales. But then things changed. Mark Reuss, a serious car guy responsible for reviving the now departed Chevrolet SS, was appointed GM president. 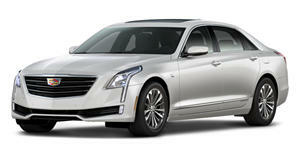 Along with also newly appointed Cadillac CEO Steve Carlisle, the pair decided to shift gears by keeping the CT6. Production is also said to be shifting to a different facility. And now GM Authority has learned from anonymous sources a few details regarding the proposed next-generation CT6. Supposedly, the second-gen CT6 is set to be built on the VSS-R platform, GM’s previously announced modular architecture specifically for rear-wheel-drive vehicles. It will eventually replace both the Alpha platform, which underpins the Chevrolet Camaro, and the Omega platform that underpins the current CT6. Combining both existing platforms into a new one not only improves fuel economy but also reduces costs and optimizes production resources. 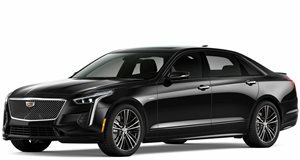 Thanks to that new architecture, the next CT6 will also be able to accommodate several alternative energy drivetrains, specifically hybrids and plug-in hybrids. An internal project code also indicates the new CT6, due to go on sale at the end of the 2022 model year, will stick with the traditional three-box sedan body style. Because both markets still want sedans, production is slated to take place both in the US and China. 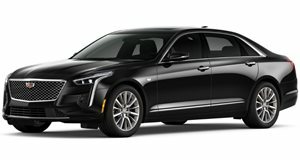 Wherever GM decides to shift production for the current CT6 in the US is likely where its successor will be built. Given that so much time and money was invested in developing the first generation CT6, which only launched in 2016, we found it somewhat surprising GM was, at first, willing to give up on it so quickly. But a pair of serious car guys, Reuss and Carlisle, see not only potential but also the symbolic need of having a full-size luxury sedan as part of the Cadillac fleet.